Distribution & habitat: Adiantum tenerum is native to Florida, Mexico, Central America, tropical South America and the West Indies. It grows in the edges of woodlands and shady crevices in rocks or at streamsides or they prefer deeper shaded areas. Description: Adiantum tenerum cv Lady Moxam is an evergreen hybrid fern with large gracefully dropping shaped pinnules and weeping stems. This fern has a short rhizome with upright arching fronds forming a compact rounded layered habit. The fronds consist of may fan-shaped bright green leaflets that are fringed along the margin giving the plant a lacy appearance. The broad, fan-shaped leaflets sometimes overlap each other. This fern is large growing to 0.8m high (31 inch) x 0.8m (31 inch) wide and is attractive through its weeping fronds with large broad pinnules. Proper Care: Can grow in tropical to sub-tropical condition. Adiantum tenerum ‘Lady Moxam’ prefers a shaded to a semi-shaded protected position and is frost and drought tender. Cut out dead or damaged fronds as needed. Light: Filtered sun or bright light from an east window is preferable. Adiantum tenerum ‘Lady Moxam’ like strong indirect sunlight in high humidity. Temperature: It requires tropical conditions with high humidity and abundance of air movement, without direct droughts. Best suited to temperatures ranging from 12oC to 45oC (54-113oF), thus often used as a houseplant. 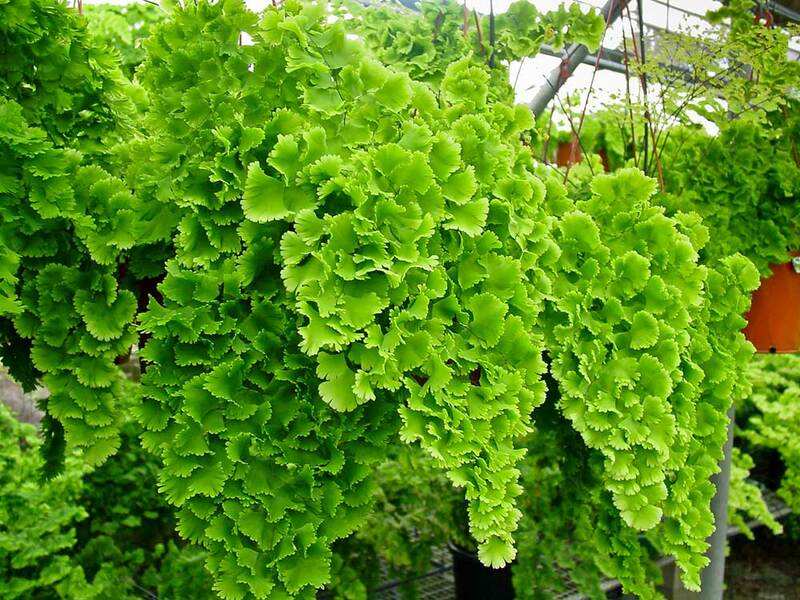 Keep the Adiantum tenerum ‘Lady Moxam’ above 7oC (45ºF). Watering: Adiantum tenerum ‘Lady Moxam’ do not like a dry atmosphere, nor to much wetness. It is very important that this fern does not dry out, so water when top of soil is dry to the touch. Frequent misting is welcomed also. Once established Adiantum tenerum ‘Lady Moxam’ has a high water requirement (Scale: 3-drops from 3), responding to an occasional deep watering during dry periods, or misting during low humidity. Fertilise: Fertilize with half strength, quick-release solution during growing season. Soil: Grow in medium grade bark charcoal with limestone chips that is humus rich made from 2 parts sand and 3 parts leaf mold. Potting and repotting: Plant in oversize container. The potting mixture for Adiantum tenerum ‘Lady Moxam’ must be capable for holding water and yet of providing good drainage. A peat-based mixture is suitable, but only is the plant gets some fertiliser at least once every two weeks. Feeding is much less important – fertiliser will do once a month – is equal parts of soil based potting mixture and coarse peat moss are used. Repot Adiantum tenerum ‘Lady Moxam’ only when dark-coloured roots appear on the surface of the mixture. The best time for repotting is early spring. Instead of being repotted, an old plant may have some outer roots carefully removed before being replaced in same pot with the additional of fresh potting mixture. 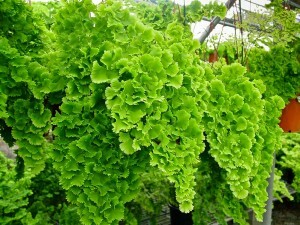 Uses: Suitable for indoors and greenhouse. Ideal for a hanging basket. Adiantum tenerum ‘Lady Moxam’ is a popular indoors plant especially in the bathroom as hanging plants. Suitable for indoors, bush-house or glasshouse culture. Adiantum tenerum ‘Lady Moxam’ also can be used for small shaded gardens or gully settings in warm climates but is commonly grown as a potted shade house plant.